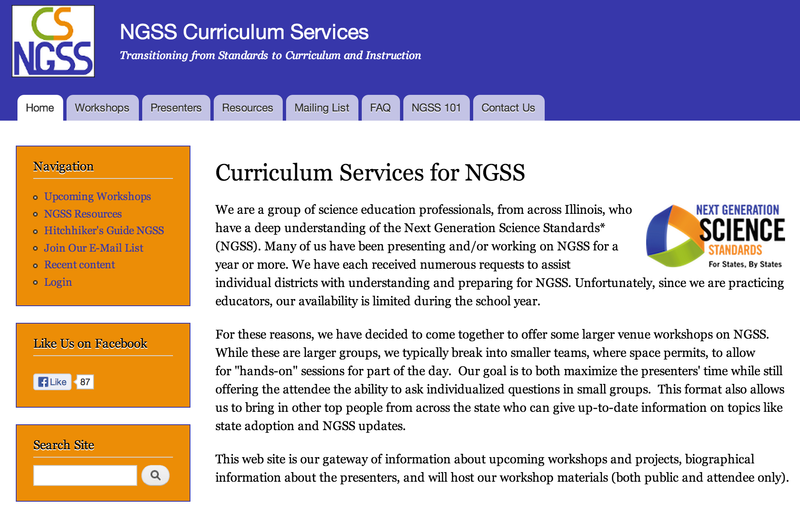 The state of Illinois has a site called NGSS Curriculum Services where you will find a variety of links and supports for thinking and learning about NGSS. Illinois is apparently very close to adopting NGSS and I’m assuming this site will continue to provide a growing number of resources. Seems like a good resource to add to your NGSS bookmarks.